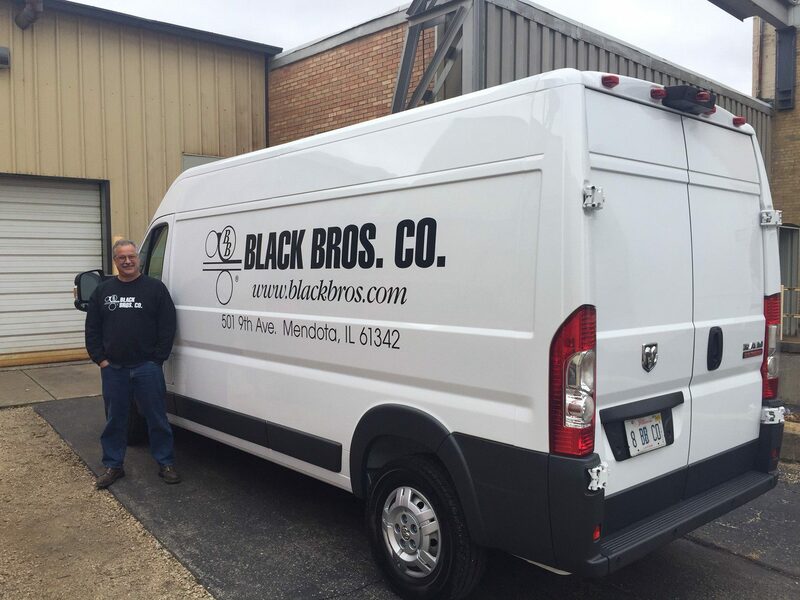 Black Bros. Co. has added a new service van to strengthen our industry-leading customer service department. The service van is fully equipped and will allow our service technicians to take everything they could possibly need with them when they are out in the field at customer facilities throughout the Midwest. This puts less of a strain on our service techs when they know all their tools and utensils will be readily available for them to use in any problem that may arise during a service call. This move helps Black Bros. Co. better serve our customers across the region, while also improving efficiency and decreasing downtime. the new Black Bros. Co. service van.